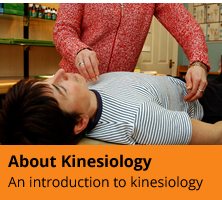 Many will recall Professional Kinesiology PracticeTM classes which were taught during the 1980s as PKP I-IV after a student had taken Touch for Health . It was an exciting and evolving method of combining emotions, nearly 100 muscles, hundreds of finger modes, and modern healing techniques. PKPTM has morphed through several formats in order to meet various countries’ educational demands. The whole course has been re-written and revised many times to create a modern, student centred and spiral curriculum. In 2019, the syllabus has been adapted again to meet the needs of students who want to study their favourite parts of the ICPKP smorgasbord of topics. Whether you want to complete the entire programme and become a Kinesiopractor®, or whether you are wanting to help yourself, your family and friends, or your community, then ICPKP has programmes that will suit you. 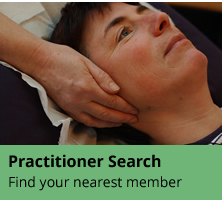 The professional certification has two entry points, either through Touch for Health 1-4, or beginning with the BKP 101, both leading to the PKPTM Practitioner Certification, which is recognised by the Kinesiology Federation and the British Register of Complementary Practitioners. Four diplomas follow as part of the career path, which can be taken in any order: The Diploma of Learning, Metaphysical, Holographic & Vibrational Energies (D.1), the Diploma of Energy Psychology (D.2), the Diploma of Musculoskeletal Rehabilitation & Reintegration (D.3) and the Diploma of Dietary & Nutritional Science (D.4). Each Diploma is made up of a number of Certificates, so that there is much to achieve and celebrate as you travel on your career path. There are plenty of opportunities to learn to teach along the way, and Faculty Trainings will be offered as you go along. A career steps guide for PKP training can be found here. Please contact Denise Gurney (ICPKP Professional Faculty Trainer) for further details, including a copy of the syllabus, and an opportunity to chat and see if PKPTM is for you.